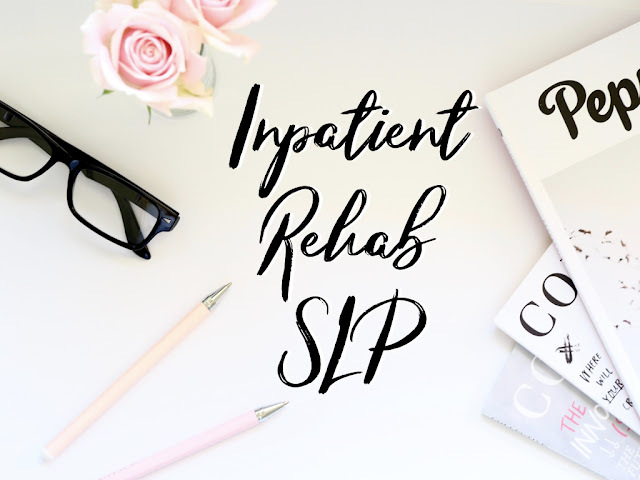 Hey hey, SLP friends! It has been a minute since my last post but I’m excited to jump back into the You’re and SL- What series! Next is a fellow Tulsan, Tiffany Turner. 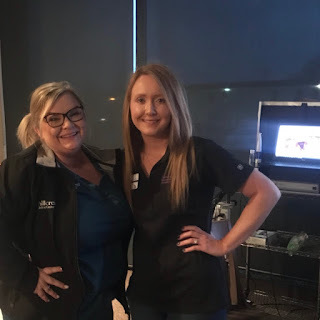 Before I moved home, I was a huge fan of all of her resources and her specialty I’ve had the honor of getting to know her and bump elbows at events since I’ve been home in Oklahoma! Tiffany fills a very large need and very specific niche in our area. I’ll let her tell you herself! Last year I became Oklahoma’s 4th adult focused board certified specialist in swallowing and swallowing disorders. I own a regional swallowing and voice center in Tulsa, OK, Swallowing and Neurological Rehabilitation (SNR). I founded SNR in 2014 to fill a need I saw in our community for more specialized adult services. 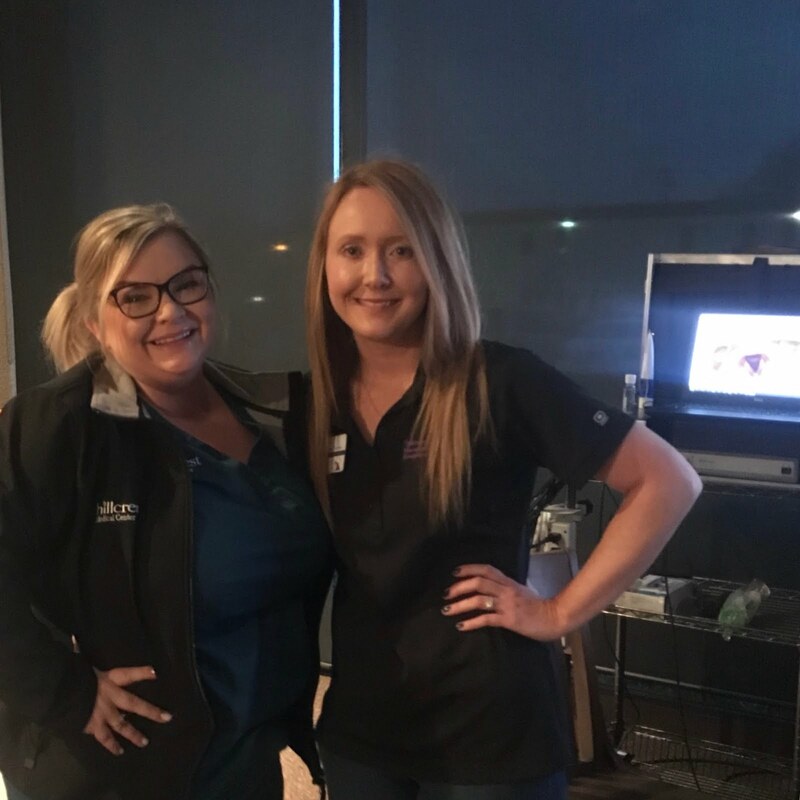 At SNR, my team and I perform fiberoptic endoscopic evaluation of swallowing (FEES) and videostroboscopy diagnostic procedures for patients throughout Oklahoma, both in our clinic and via mobile contracts with SNFs, small hospitals, etc. We also provide rehabilitation services for many types of acquired and progressive swallowing, voice, speech-language, and cognitive deficits. My team and I also host a dysphagia support workshop, a primary progressive aphasia support group, and a weekly voice maintenance group for patients with Parkinson’s disease. Another passion of mine is mentoring other speech-language pathologists. I’ve published several clinical resources for speech-language pathologists which have been downloaded by thousands of SLPs worldwide. They are available on my website at www.tulsasnr.com. I also write guest articles for other national and local publications to raise awareness of my specialty niche along with giving guest lectures at local universities and other community events frequently. I was actually originally a secondary math education major, but after taking a substitute role early in college, I quickly learned that I liked helping people one on one rather than in the classroom setting. 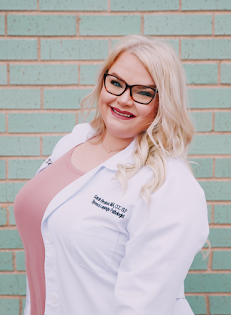 I’d also always had an interest in the medical field, so as I explored options, speech pathology seemed like a good mix of education and medical, my two main interests. Before looking into the profession as I was searching for a new major, I had never even heard of it. In general, I think our field is very misunderstood and underutilized, which is why I’m so passionate about raising awareness! Give a description of the setting and population you work with. I kind of mentioned this in my bio, but at Swallowing and Neurological Rehabilitation, we specialize in adult diagnostics and treatment for swallowing, voice, speech-language, and cognition. A couple specialty niches I have are fiberoptic endoscopic evaluation of swallowing (FEES) and videostroboscopy voice assessments. 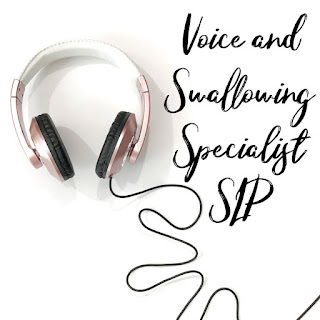 I complete endoscopies for several local ENTs who we work closely with, and my team and I also now provide mobile swallowing and voice diagnostics to help out our SLP colleagues in other settings with more limited access to instrumentals. Another unique specialty I have is working with progressive neurological conditions. I am on Tulsa’s Muscular Dystrophy Association (MDA) team where I serve at the monthly ALS clinic. 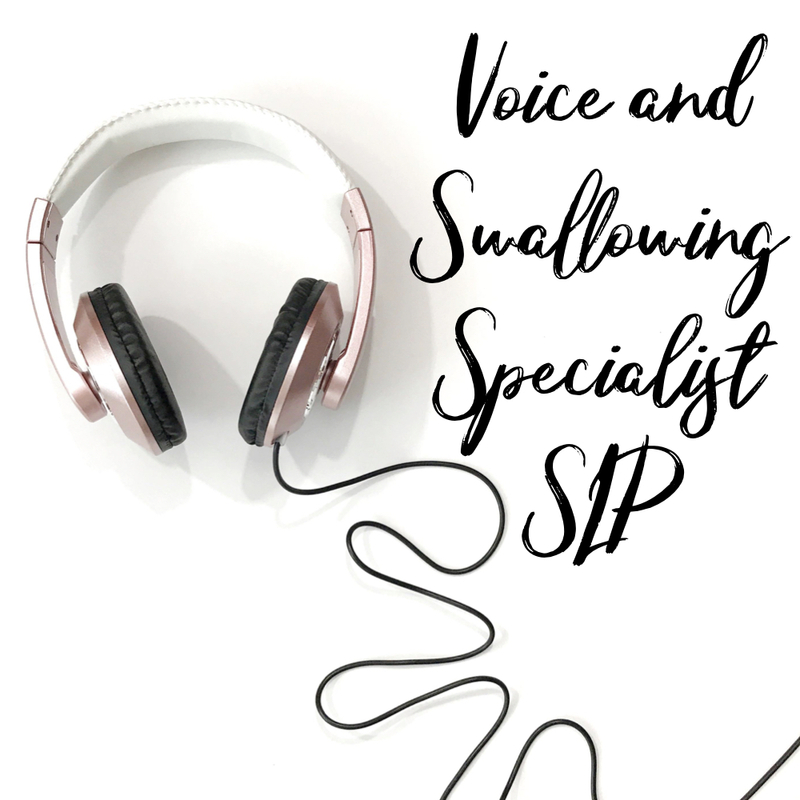 My role there includes treating swallowing and assisting with voice recording early on since most of these patients will eventually lose their ability to speak. I help them order and train on alternative communication devices as their disease progresses. Private practice with adults is very tough. Unlike a pediatric private practice (where you build a caseload and see those same kiddos for therapy for many years in many cases), with adults you only see them a handful of times, sometimes only once for diagnostics. I get patients who drive in from all over the state and region and have to serve a wide area and receive constant referrals each week to be able to maintain a caseload. Friends who own pediatric private practices on the other hand get much fewer new referrals coming in each week than I do but can grow much more quickly since their patients are mostly all long-term. I love seeing results and seeing people get better! We have so many patients who come to our clinic on a feeding tube, and a few short weeks later, they are eating fully by mouth again and are able to get their feeding tube removed. Swallowing has always been my favorite area to treat because the results are so rewarding. I love to eat, so I love to help other people eat! Speech-language pathologists work with so much more than just speech. In fact, I rarely work with speech at all myself. Our field is very broad, and there are so many subspecialties within that. “Speech- language-swallowing-voice-cognitive pathologist” would be a much more fitting title, although it would be tough to fit on a nametag! If you’re looking for services for a particular area (e.g., swallowing, etc. ), be sure to find someone who specializes in that area. Thank you so much, Tiffany!! 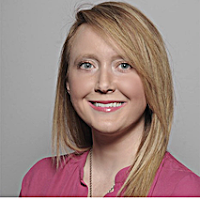 If you would like to know more about her or her resources, make sure to check out her website! I can tell you first hand, they've been extremely helpful for me as a newbie and even still a few years in! Stay tuned for the next piece of this series coming August 19th!